1101 S Shadesview Terr, Homewood, AL.| MLS# 839195 | Richard Jacks UABLIVING.com 205-910-2297 | Birmingham AL Real Estate | Contact us to request more information about our Homes for Sale in the Birmingham AL area. LOCATION, AMENITIES AND PRICE! This 3 bedroom 2 bath home in the sought-after Homewood community has it all including a personal in-ground pool. This home features a spacious formal living/dining area with lots of natural light and hardwood flooring, cleverly designed kitchen which is open to the cozy family room allowing for dinner preparation and family interaction simultaneously. 3 spacious bedrooms on the main level all feature hardwood flooring and provide great privacy. Downstairs in the finished basement offers a designated laundry area, a full bath, and a bonus room that would make for a great game room, or teenager suite. A personal oasis awaits you in the fenced back yard with a personal in-ground pool, pool house, screened porch, and open deck. 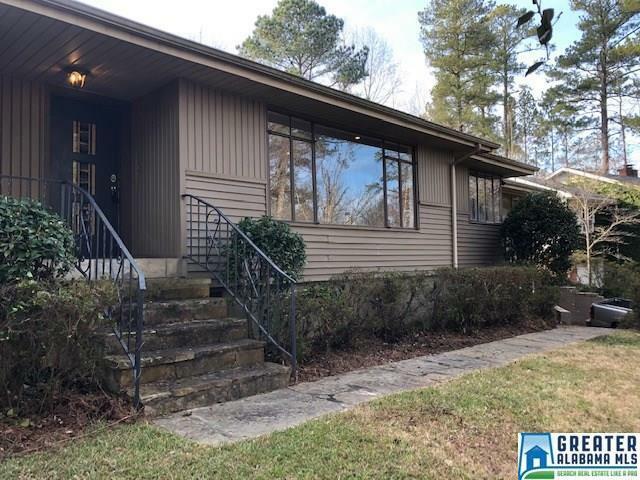 This property is perfectly and conveniently located, zoned for Homewood school system and has easy access to major highways, downtown Birmingham, and all the amenities of Homewood and surrounding areas. Come see for yourself today! Driving Directions: From I-65: Take Lakeshore Parkway Towards Homewood; Turn Left Onto Riviera; Follow To End And Turn Left Onto S. Shadesview Terrace. House Is The 5th House On The Left.